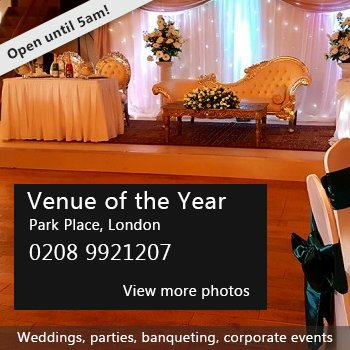 Availability: Available Times:- 9.00am to 11.30pm NB: - The premises MUST be vacated by 11.30pm. All rates include the use of the Kitchen and Toilets. There have been 2 reviews of Weybridge United Reformed Church Hall. Very helpful and quick responses too. we hired the hall on the 10th December for a children's party and were very disappointed to find out only on arrival that the heating was broken. We had small children of 3/4 years old coming and a couple of babies and the hall was freezing. We had to hold the party in a side room that had wall heaters. So it was abit squashed and not as good as a result. The previous year we used the main hall and it worked really well. If we had known the heating had been broken since the middle of November we would have either hired heaters or used somewhere else, as your guests kept their coats on and were obviously cold. I was quite upset, as I had planned this party for a long time and looked forward to it, it would have been alot better if the heating was working. Apart from that we were pleased with the kitchen facilities. If you would like to send Weybridge United Reformed Church Hall a booking enquiry, please fill in the form below and click 'send'. Perhaps some of the following halls within 5 miles of Weybridge United Reformed Church Hall would also be of interest?